The Synthomer Best Chemistry Graduate Award Presentation Ceremony 2015 was held at UTAR Kampar Campus on 20 August 2015. Gracing the award presentation ceremony were UTAR Council Chairman Tun Dr Ling Liong Sik, Synthomer Asia Human Resource Director Dato’ Norashikin binti Ismail, UTAR President Ir Prof Academician Dato’ Dr Chuah Hean Teik, UTAR Council Member Hew Fen Yee and Dean of Faculty of Science (FSc) Assoc Prof Dr Lim Tuck Meng. Prof Chuah extended his warm welcome to the Synthomer Asia guests and thanked them for acknowledging the talents of UTAR Bachelor of Science (Hons) Chemistry graduates. “It’s an honour and privilege to have Synthomer Asia’s support and recognition since 2011. Synthomer has since been giving recognition to our deserving and outstanding Chemistry graduates. 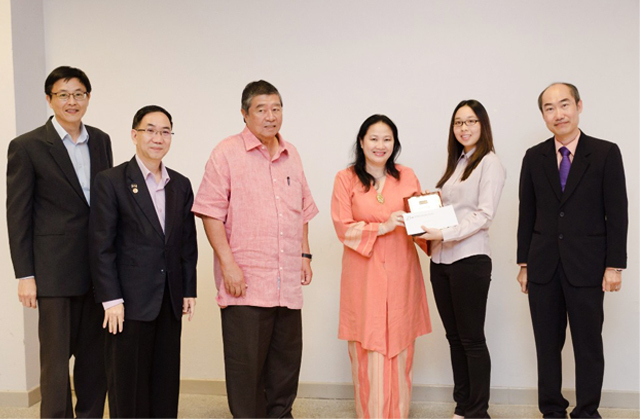 The performance of our graduates also reflects the quality of UTAR’s education in training students to excel in the industry and in becoming global citizens,” he remarked, and congratulated this year’s recipient, Karen Aw Kai Lun for the remarkable achievement. Delighted to be presenting the award once again, Dato’ Norashikin added that Synthomer Asia’s collaboration with UTAR dates back to 2010. “It is part of our corporate social responsibility to support education in the country and to motivate students to excel in the field. 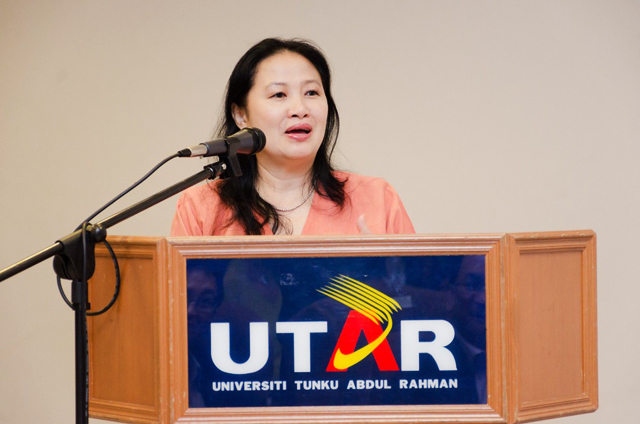 We’re proud that UTAR is one of the chosen few universities to receive this award,” she said, and expressed her confidence that UTAR, as a prestigious university will produce well-rounded and competent graduates. 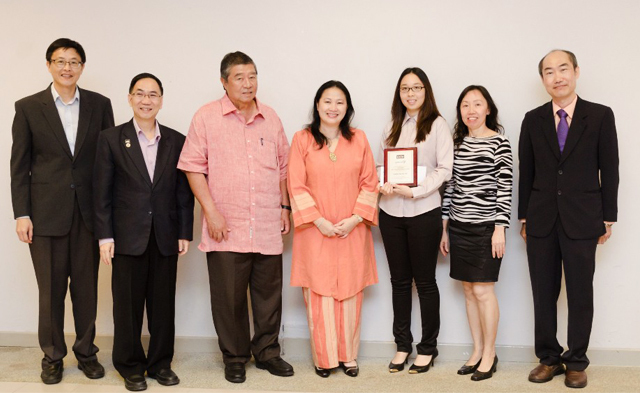 The ceremony reached its highlight when an overjoyed Aw received the prestigious award from Dato’ Norashikin, witnessed by Tun Ling, Prof Chuah, Hew and Dr Lim. Aw, who graduated with an Honours Degree with Distinction in the 20th UTAR Convocation held from 14 to 15 March 2015, walked away with a plaque and a cheque of RM3,000. Also a winner of the Jobstreet Best Graduate Award, Aw will join the list of alumni who have been proud recipients of the award since 2011. Synthomer is one of the world’s major suppliers of lattices and specialty emulsion polymers supporting many market segments including coatings, construction, textiles, paper and synthetic latex gloves. 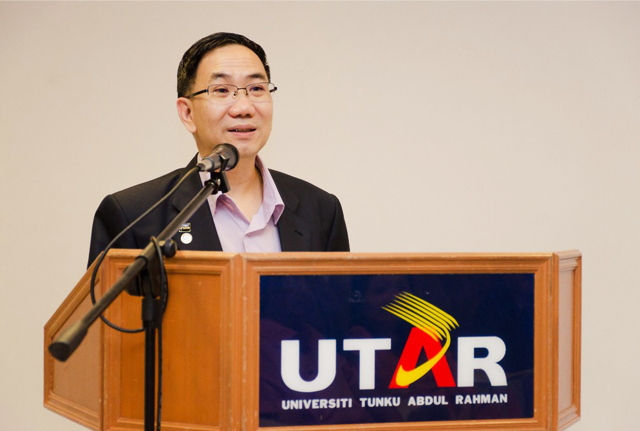 In December 2010, UTAR officially initiated a formal partnership in R&D with Synthomer, which culminated in the presentation of the Synthomer Best Chemistry Graduate Award to top UTAR Chemistry graduates in the following years. 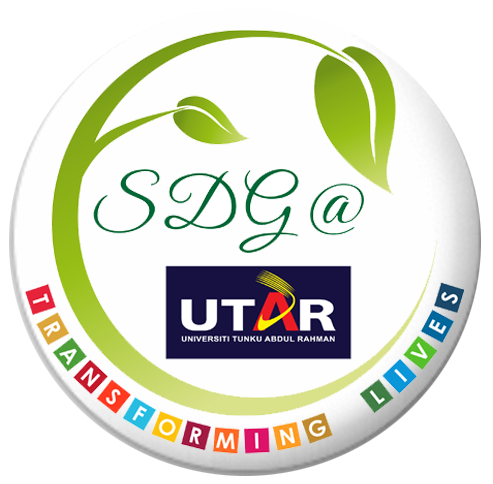 This is the sixth consecutive time the award presentation ceremony was held at UTAR Kampar Campus.